It’s December and I’m busy. Traditionally the holiday season for galleries and artists is a slower time, a time for small works sales in an effort to grab a piece of that season of gifting. It is a time for the Miami Art Basel and the surreal art parties in a sorbet coloured city with a continuous beat. 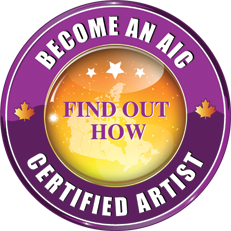 In part one of this series, I interviewed two Canadian artists with backgrounds that included experience in advertising and marketing, in addition to their art education. It is true that you are the sum of all your experiences. We all absorb every sensation whether aural or visual every single moment of the day. For an artist, there is a hypersensitivity about the world that surrounds, and their highly tuned senses bleed information into their chosen form of expression. For Part II of this series, my focus is on the passionate Canadian commentary of Jeff Molloy, and the vividly graphic portraits of American painter, BORBAY. Whether finding your stride after a life changing move and an eclectic set of skills gained in the construction industry like Canadian artist Jeff Molloy, or working in the advertising industry before jumping into the fire of the NYC art world like American artist BORBAY, experience is everything and what you do with it, can catapult your career to a place it can shine. Q: Are you represented by a gallery, self-representing, or both? A: I’m represented by a gallery and I represent myself. I don’t spend a lot of time representing myself in the commercial art realm but I do put a lot of time into applying and mounting public art gallery exhibitions. Q: What is the single most effective thing you do to sell your work? A: Creating good work and getting it into the correct market. You have to know and be able to talk about your work in depth, to galleries, patrons and curators. The most important thing is the work itself but if you don’t get it in front of the correct people you wind up with a storage problem. Q: Have you ever written a business plan or keep a list of career goals as an artist? A: I’ve never written a business plan. I’m lucky enough to have a supportive partner that smooths out the road financially. With larger, irregular payments it’s some months chicken and some month’s feathers. I do however have aspirations and career goals. How does one get where they want to go without a destination? Q: When the market is slow, have you created another source of income to fall back on? A: I work in both the commercial and the public art realms. I do this simultaneously. As the commercial art market bobs and weaves the public sector stays constant. My experience has been that serious collectors are not generally effected by the economy and haven’t noticed a decline in sales. Q: Hypothetically speaking; If Larry Gagosian approached you with an offer to represent your work, market you and sell your work into many collections, most of which stockpile art in a warehouse where it will never be seen again, would you take him up on his offer? A: I’m all ears but admit that money isn’t the motivation. “Artists have something to say. Otherwise they would be making shoes”, is the quote that comes to mind. I would never try to guess where my work will end up but I do believe that great art is hard to keep it in the closet. 1. Are you represented by a gallery, self-representing, or both? 2. What is the single most effective thing you do to sell your work? I treat each new painting as Porsche would a new car, by building an inclusive experience around the result. While creating, I share the process as it unfolds on social media; upon completion, I post an in-depth, behind-the-scenes recap, including photos, commentary and a time lapse video — which is then shared on social media, and strategically distributed to press outlets. 3. Have you ever written a business plan or keep a list of career goals as an artist? Art business is fluid, so selling artwork, at least for me, defies a traditional business plan. However, the act of painting itself lends to a great deal of time to think, so I’m constantly reshaping my approach, pricing structure and business outreach. My overall goal is simple: create and sell enough work to continue creating and provide for our family of four. 4. When the market is slow, have you created another source of income to fall back on? When I left advertising in 2009 to paint full-time, it was amid a horrendous economy — so my art career was ‘born in fire’ if you will. When the going gets tough, I paint harder, increase my outreach and work on perfecting the details… art is a luxury item, and no matter how bad the economy is, there is always an audience — the onus is on you to find them. I currently write about art business for Forbes, but that’s a passion project, and represents less than 1% of my income. 5. Hypothetically speaking; If Larry Gagosian approached you with an offer to represent your work, market you and sell your work into many collections, most of which stockpile art in a warehouse where it will never be seen again, would you take him up on his offer? You had me until stockpile. It’s difficult to decline an opportunity to work with an art world megastar. However, my lack of representation isn’t solely about retaining the 50% cut. Each day, I wake up with the opportunity to discover an email or voicemail that can change my life. That wonder and endless possibility is just as valuable as a split of my painting sales, if not more. Ultimately, I’m creating a calculated, well-built market free of assistants, outside of the machine — something I’m proud of.